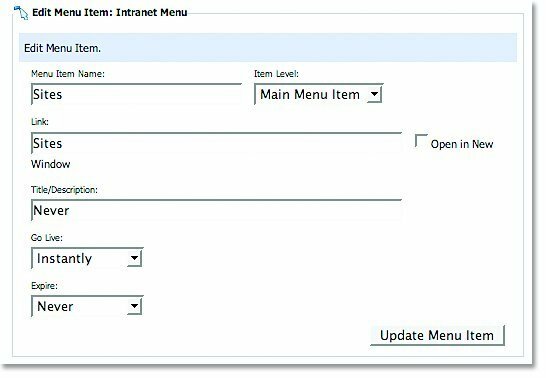 The Menus module gives you the freedom to make changes to the menus on your website, al- lowing you to create new menus or sub-menu items as needed. This is helpful in creating and maintaining site maps and improving the overall organization of your site. In the Main Admin section, select Menus. Type in a name for the new menu and select Add New Menu. 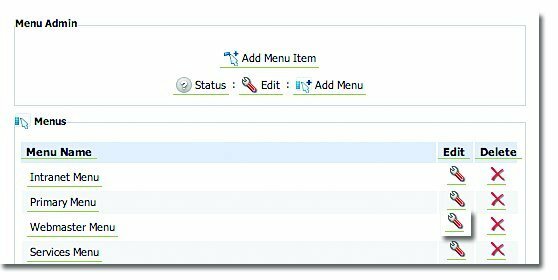 Type in a name for the Menu Item and select an Item Level from the drop down menu. Type in the link and a Title/Description. 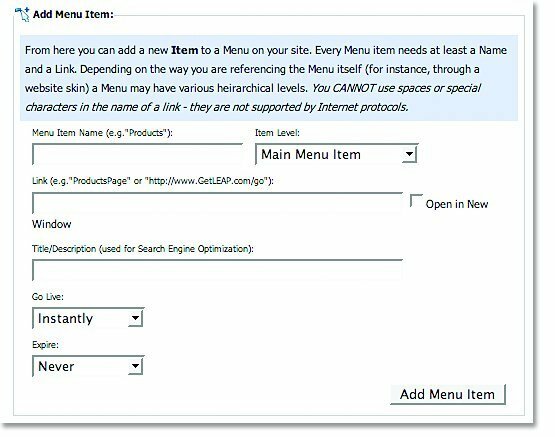 Specify when you would like the Menu Item to Go Live to the website and when you would like it to Expire. Select the Edit icon next to the menu you wish to rename. Type in the new name for the menu and select Update Menu Name. Select	the	Menu	Name	for	which	you	wish	to	make	changes. Select	the	Edit	icon	next	to	the	Menu	Item	for	which	you	wish	to	make	changes. Make	the	changes	you	require	and	select	Update	Menu	Item. If	you	wish	to	change	the	level	of	the	item,	select	the	new	level	from	the	drop	down	menu	next	to the specific Menu Item. 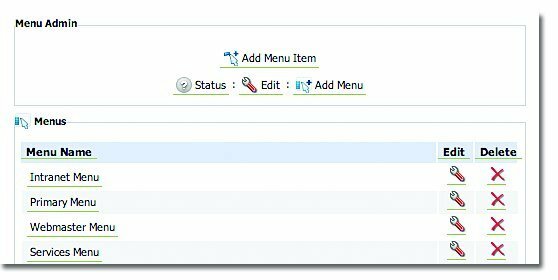 If you wish to delete the item, select the Delete icon next to the specific Menu Item. In	the	Main	Admin	section,	select	Menus. Select	the	Delete	icon	next	to	the	Menu	you	wish	to	remove.